1 eToro – what is it? 2 What is the eToro broker’s innovation about? 3 How does one play to win and gain high profits? 6 Reviews – what others think about eToro? Investing in financial markets can bring truly huge profits, but only if you have access to professional investment tools and, above all, you use the services of really trustworthy companies. Many investors who describe their experience on the internet often mention the eToro broker, which has been on the market since 2007 and constantly modernizes its platform. 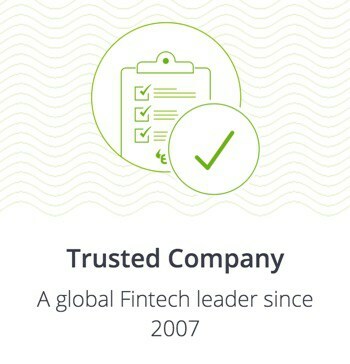 Is it really a company you can trust? Is its offer worth your attention and, above all, what costs must future investors prepare for? Let’s take a closer look at it. eToro – what is it? The eToro platform can certainly boast of very large experience on the market, because it has been present on it for a good 11 years and there is no indication that it will soon change. The company initially focused on currency markets, including cryptocurrencies, which are now enjoying huge popularity. Today, however, investors can invest on one platform not only on the Forex market or in cryptocurrencies, but also in raw materials, securities or indexes. This is certainly a wide range of investment opportunities that few platforms can boast of. Most frequently, investors looking for new options to multiply their money are forced to use different platforms, and here we have a one-stop-shop solution. What is very important, eToro gives access not only to exchanges, but also to a special social network that connects all users registered on the site. We will tell you a bit more about the possibilities of this network later in the article. What is the eToro broker’s innovation about? One cannot help but notice that eToro often promotes itself as a very innovative broker, which always stays one step ahead of its competitors. 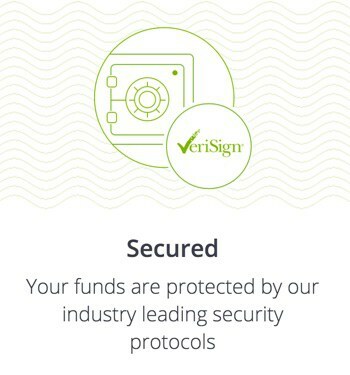 up-to-date investment tools that are transparent and easy to use. How does one play to win and gain high profits? In regards to innovative solutions, the most interesting one is certainly the social network, which can be used in two ways. Firstly, with its help, the users registered on eToro can contact each other and share their investment-related experience and advice. On the other hand, however, this solution has been bolstered with a fairly innovative tool. The investor can to a large extent view the activities of other users on the eToro platform, copy them and use them on his own investment platform. The above provides help for new people who can easily take advantage of professional investors’ experience. Observing other people, if done the right way, can be a very effective way to invest successfully with risk reduced to a minimum. In the case of eToro, the money earned on investments is stored directly in the user’s virtual wallet, which is available to every registered person. The withdrawal of the funds collected is not a major problem, but it is important to keep in mind certain restrictions introduced by the broker. First of all, withdrawals can be made only by people with verified accounts, so it is worth going through this process before we start investing our money. At eToro there is also a minimum withdrawal amount of $50. One should also remember about the commission. It is a fixed amount of $25, so it is best to withdraw more funds at once rather than place smaller, but more frequent withdrawal requests. eToro guarantees its users that withdrawal orders will be processed within a maximum of 1 business day, but the company is not responsible for the delivery time of this money to the user’s bank account. As we learn from the site, the average waiting time for a transfer varies from 3 to 8 business days. eToro introduces many innovative solutions; it is a user-friendly investment platform, and it is arranged in such a way that you can increase your profits by watching the best investors. However, it should be remembered that the company, like any other broker on the market, makes money on various commissions. What are their amounts? We have already mentioned commissions associated with withdrawals. For the investors, however, the most important commissions will be those charged directly on the turnover generated by the account. Since the broker provides access to many types of exchanges and offers a huge variety of investment options, the commission range is so large that it is difficult to describe it in a few sentences. It is best to simply visit etoro.com and go to the help tab, which contains a clear table with commissions for all exchanges. Reviews – what others think about eToro? eToro promotes itself extensively on the web, but, of course, when looking for a good broker, you cannot rely only on the descriptions presented by the company you want to use. This is where the opinions of other users are always helpful, and there is no shortage of those in the case of eToro. Reasonable commission amounts, no problems with the withdrawal of accumulated funds and always helpful customer service are the most important advantages praised by the investors who have experience with this place. We encourage you to comment if you have used this platform and can share your experience. All transactions involve risks. Risk only with the capital which, in the worst case, you are ready to lose. Previous actions do not guarantee future results. This article is intended for educational purposes and should not be treated as investment advice. Prices of cryptocurrencies may fluctuate widely and are not suitable for all types of investors. Transaction cryptocurrencies are not supervised by any EU regulatory framework. Your investment capital may be at risk at any time. the offer does look interesting but I’m curious about the profitability of cryptocurrency investments. Can you tell me more about it? Hello everybody! Is there anybody here that has already used this company and can say something about it? I’ll be grateful for any information regarding their integrity and the ease of using their tools. How long do you wait for the withdrawal of the funds that you’ve gathered, and what payment options do you choose for such requests?